13 Sep 2017 Washington, D.C.
To more quickly begin constructing President Trump’s wall plan along the U.S.-Mexico Border, the Department of Homeland (DHS) is cutting red tape that would otherwise delay the project. 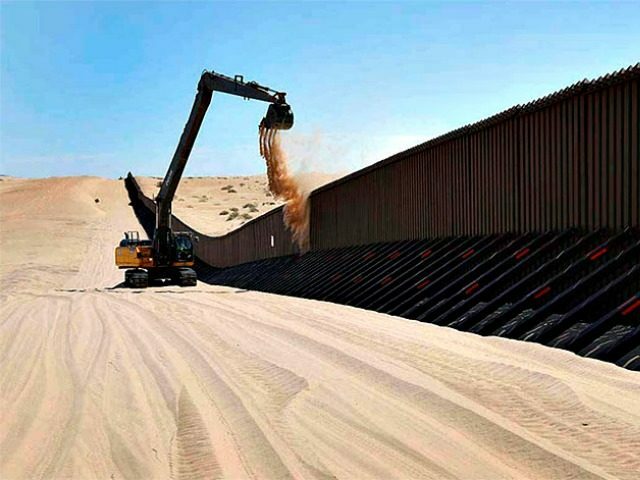 DHS announced this month that the agency issued a waiver that allows for the “expeditious construction of barriers in the vicinity of the international border near Calexico, California.” The announcement removed legal obstacles that came in the form of environmental and land management federal regulations. This current waiver covers certain border infrastructure projects in the United States Border Patrol’s El Centro Sector, a critical sector for border security. In fiscal year 2016 alone, the United States Border Patrol apprehended more than 19,400 illegal aliens and seized approximately 2,899 pounds of marijuana and approximately 126 pounds of cocaine in the El Centro Sector. The El Centro Sector remains an area of high illegal entry, and replacing the existing fencing, which was built in the 1990s and no longer meets the Border Patrol’s operational needs, is a high priority. To begin to meet the need for additional border infrastructure in this area, DHS will implement a border fence replacement project. This project will focus on an approximately three-mile segment of the border within the El Centro Sector that starts at the Calexico West port of entry and extends westward, replacing approximately two miles of the existing primary pedestrian fence with a new bollard wall. Congress funded the project in the FY 2017 DHS Appropriations Act. The expediting of the southern border wall construction is part of the Illegal Immigration Reform and Immigrant Responsibility Act (IIRIRA) which was passed by Congress in 1996 to give DHS more leverage in constructing physical barriers and illegal immigration deterrents along the border. The 1996 law, for instance, gave DHS the ability to waive federal regulations in order to more quickly construct a border wall to deter illegal immigration from high-trafficked areas of the U.S.-Mexico Border. John Binder is a reporter for Breitbart Texas. Follow him on Twitter at @JxhnBinder.